There is a growing number of wearable devices featuring touchscreens, including smart watches, smart glasses and digital jewellery. These devices can receive notifications in many forms, but usually there is no direct way of replying, since they lack a text entry system, mainly because the space available onscreen is very limited. 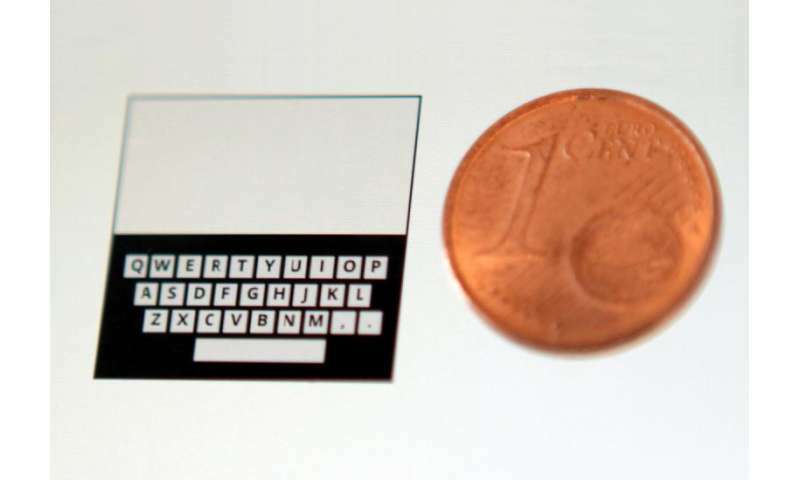 Now, a team of researchers from the Universitat Politècnica de València and the University of Stuttgart have developed two tiny QWERTY soft keyboard prototypes, which enable users to answer or enter text on their wearable devices. "QWERTY keyboards, despite their limitations, have the fundamental advantage that users are already familiarized with the layout and the text entry technique is very easy to understand," says Luis Leiva from the Pattern Recognition and Human Language Technology research centre at the Universitat Politècnica de València. 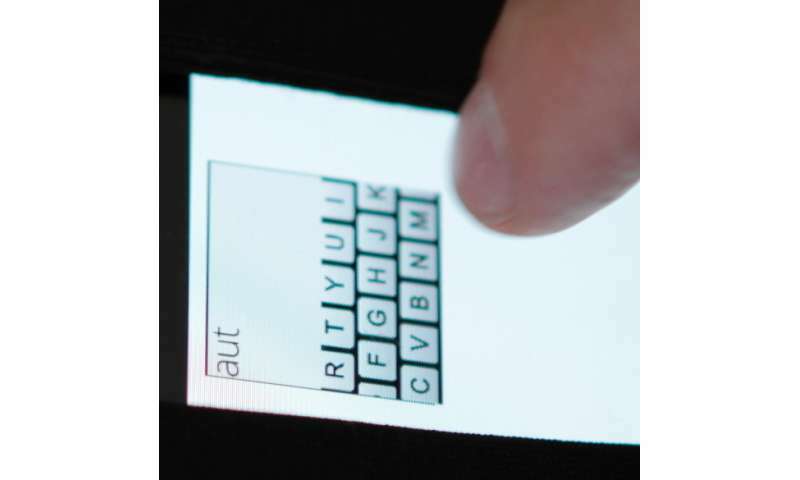 In their study, Spanish and German researchers have designed and assessed two QWERTY-based soft keyboards for different screen sizes, between 16 and 32 mm. The first prototype, named Callout, is inspired by the soft keyboards used on current smartphones. When the user touches a key, a callout showing the character that is about to be entered is created in a non-occluded location (the upper part of the screen). The user can refine the key selection by slightly moving their finger on the keyboard, and then enter the character by lifting up their finger. The second prototype, named ZShift, improves the Callout design by enhancing the callout area with one level of zoom of the occluded area, also providing visual feedback of the key touched. In addition, for easy texting, the researchers tested different mechanisms to autocorrect typing errors on the go. 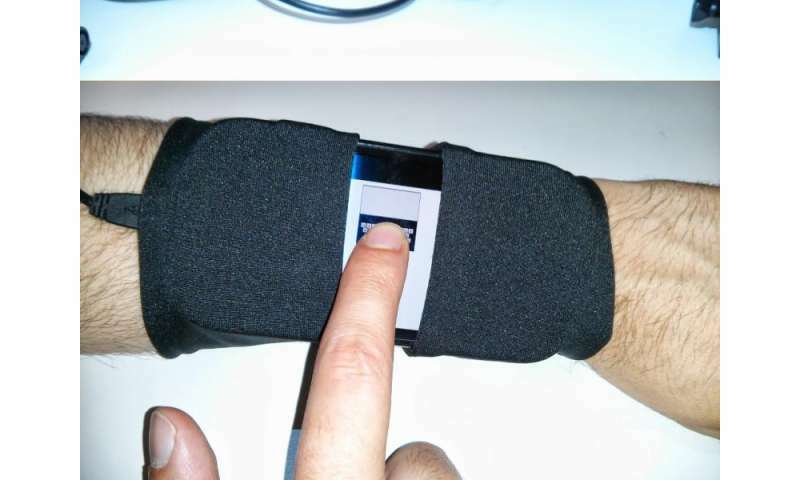 "Given their simplicity, these error correction mechanisms can be easily incorporated into current wearables, thus making them more independent devices," states Leiva. The researchers compared their prototypes with ZoomBoard, another tiny QWERTY soft keyboard developed by Carnegie Mellon University. "It works really well for extremely small, coin-sized screens. However, if we slightly increase the screen size, just a few millimetres do make a difference, and the text entry technique becomes a bit frustrating and inefficient. Our prototypes are aimed at solving these issues," say the researchers. You are still forcing people to look at something. AR is nearly here. I would rather figure out how to use my tongue to be my primary input method.